Mobile Greyhound Park is one of Alabama's many dog tracks and it is home to greyhound world champion JJ Doc Richard. For some, the park is a source of recreation and entertainment. For others, it's the provider of new opportunities and ideas. Mobile Greyhound Park taxes have been generously distributed throughout the Mobile, Alabama community. Mobile Greyhound Park is located at 7101 Old Pascagoula Road, Theodore, Alabama, USA. Mobile Greyhound Park officially opened in August 1973. During the opening night, crowds crammed the facility while racing fans waited outside. From then on, Mobile Greyhound Park quickly became one of Mobile's biggest industries. Mobile Greyhound Park provided hundreds of jobs, and was recognized as one of the top tourist attractions in the state of Alabama. Mobile Greyhound Park has remitted over $130 million in taxes to the racing commission and has distributed more than $115 million to municipalities, schools and agencies in the area. Mobile Greyhound Park also provides generous contributions to institutions of higher education and various agencies. One of its largest benefactors has been the University of South Alabama's College of Medicine. 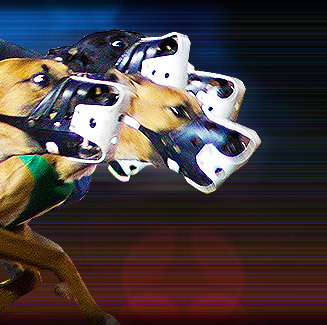 Institutions and agencies such as Bishop State Community College, the County Law Enforcement Firefighters Pension Fund, Mobile City Schools, Mobile County and its municipalities have also benefited from Mobile Greyhound Park's tax funding.